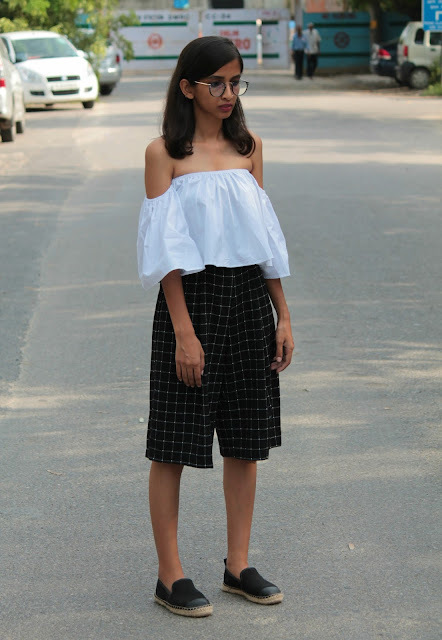 Coming to the first look, here I wanted to give a cool work outfit or a semi formal vibe to the attire, which you can sport for a quick outdoor meeting or a less eventful kind of a work day. 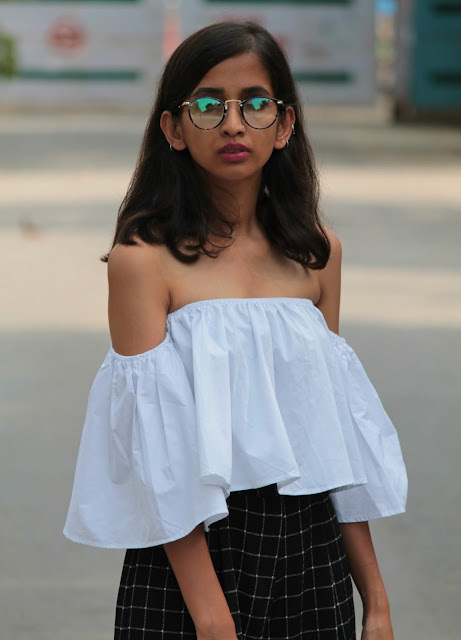 An off shoulder to work may sound intimidating to a lot of you but switching from those monotonous button-downs transform your whole look by giving a fun, youthful element to it! 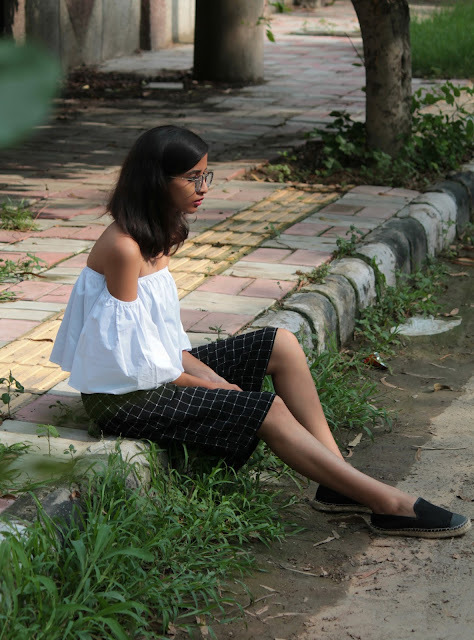 I wore this top with a pair of culottes in check pattern along with these comfy espadrilles, tho create a polished yet effortless monochrome look! 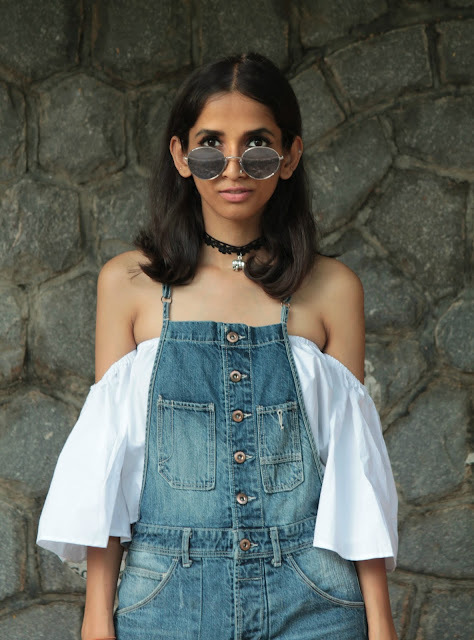 Finished it off with a hint of mauve on lips & these round glasses. 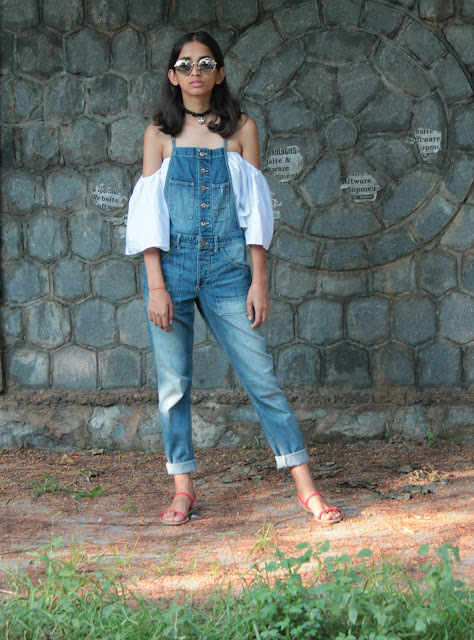 The second look is an elevated form of my quintessential weekend outfit - white tee & a pair of denims! 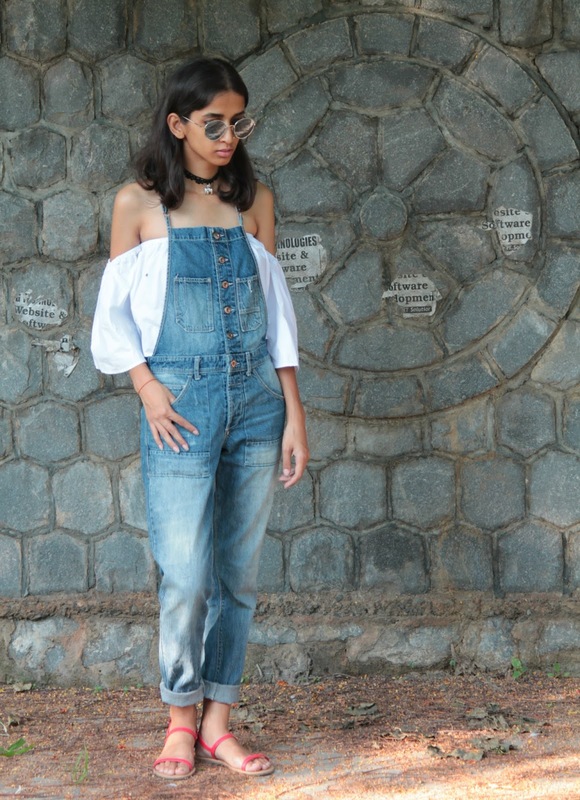 Keeping it easy & comfortable for a day of errands, I paired the top with strappy dungarees, rolled up at the hem. Added a pop of red with these flats & a lace choker & I was good to go! The silhouette of the top added an elegant, playful effect & uplifted it from being a mere casual look to a stylish one! I hope you liked this post. Part 2 of this series will be up on the blog next week. Till then do share your feedback!